Santa has been very kind to the Padres this week. Ed Kasputis interviews San Diego baseball researcher James D. Smith III about the Padres good fortune. 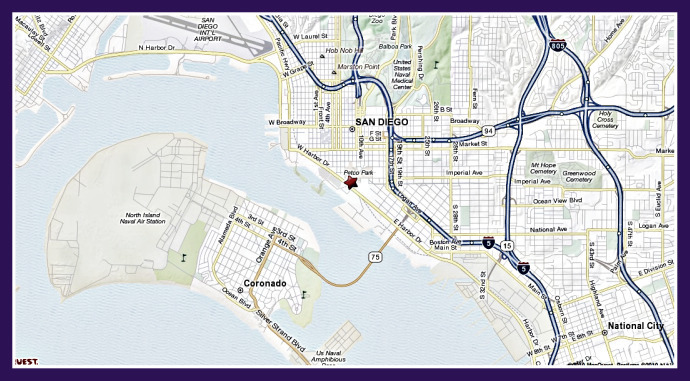 The Padres are in 3rd but San Diego is still America’s Finest City. Ed Kasputis interviews Mr. Sports Travel aka Joe Connor about the City by the border where he proudly calls home. 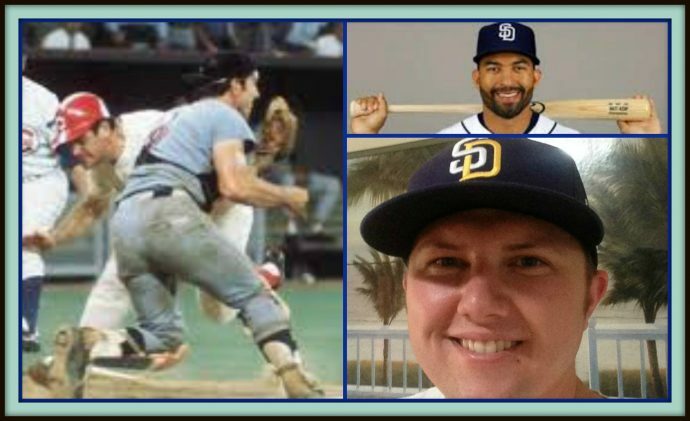 This week is Padres‘ week with our podcast featuring the San Diego Padres being released on Friday April 1st. 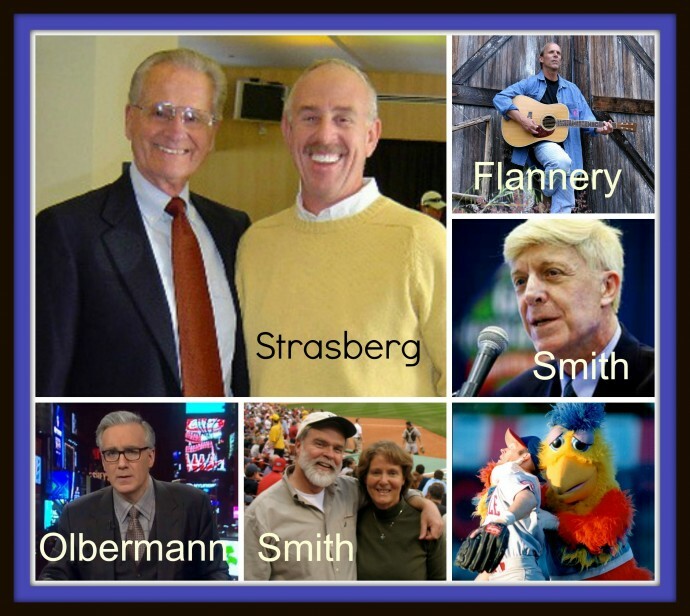 We’re excited about our interview with The Famous San Diego Chicken. We are just as excited about our next Where in the World is Dave Matejczyk? 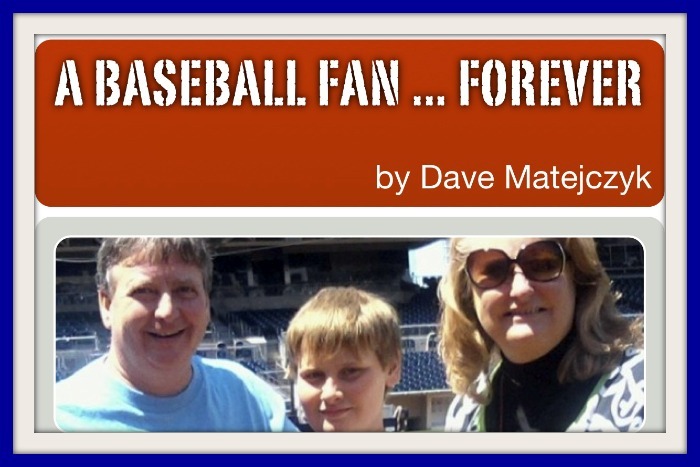 segment as Dave shares his unforgettable tour of PETCO Park. This past week my son and I accompanied my wife on a work trip to San Diego. We had some free time, but the Padres baseball team was out of town. However, there were tours of the team’s home stadium, Petco Park. I signed us up. 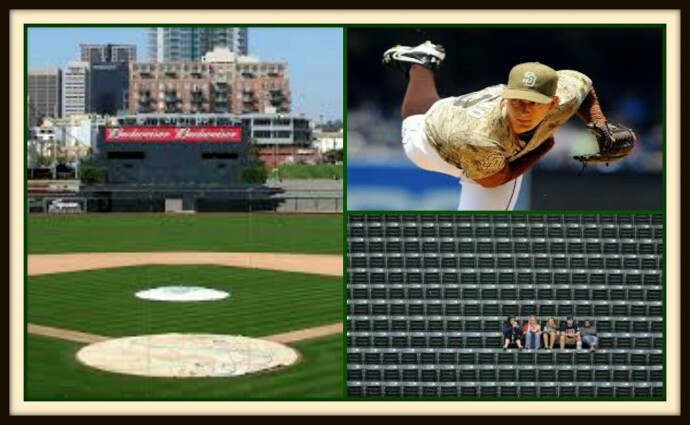 I will never forget the tour, but not because of all of the bells and whistles of beautiful Petco Park. Our group of 12 or so assembled at the stadium’s main gate entrance. First stop was underneath the park at the area that services the on-field luxury boxes – which cost about $26,000 a seat for a season ticket. It was explained to us that this includes fine wines, carved roast beef, etc. In the private lounge beneath the seats is a glass wall where you can watch batters taking extra hitting during the game. At the end of the tour group, bringing up the rear, was a frail elderly lady, all alone. She was wearing sun glasses. Everyone was in awe of the amenities of Petco. But this lady just lagged behind, standing quietly in the back of the group. Another lady from San Diego was on the tour with her nephew, and they were obviously proud to Petco Park. They kept asking the important questions: How much does a luxury box sell for? Can you watch something other than baseball on the flat-screen televisions? The elderly lady just kept shuffling along, saying nothing. Every stop on the way, my son was oblivious to the trappings, he just kept trying to check out the view of the field. He kept pulling on my arm and asking me when Don the guide was gong to take us onto the field. The tour guide turned to me as we stopped in front of the stadium’s sushi bar, and asked if I had ever been to any other parks. I smiled. “Just a few. We were going to watch the Tijuana team play today, but the game got canceled according to the online schedule.” I said. “Where are you from?” was the next question from one of the tour participants who heard my response. I replied, “near Cleveland.” That explains it,” he joked. Ouch. The tour continued. Suddenly, the quiet old lady spoke to me. She told me that she and her husband love baseball. She said they have been life-long Padre fans, and have a package season ticket plan with two seats in the outfield. I felt bad she was alone, and wondered where her husband was that day. I told her my wife and I enjoy baseball, and in fact, have been going to ballgames in minor league, major league (and even the Mexican League) parks throughout our marriage. The elderly lady lit up with a huge smile. The tour continued, and she kept close to my wife and son as we next stopped at the Padres Hall of Fame. She smiled when we got to Ray Kroc’s shrine. The tour guide explained that the McDonald’s restaurant founder had saved the Padres with a $12 million purchase of the club when it was only hours from being sold and moved to Washington. Everyone else on the tour had bolted to the balcony for an incredible view of the park. The guide explained that the ground crew was busy repairing a portion of left field damaged by a stage set up for a concert. We just shook our heads. There ought to be a law against concerts on ball fields. Finally, the tour made its way back down the stadium, and we entered the playing field. The elderly lady started the same behavior as when the tour started. She got real quiet and lagged behind everyone. With our backs to the field. The tour guide explained impressive statistics about Petco. My wife tugged my arm and motioned toward the area behind home plate. Crouched over at the edge of the grass was the elderly lady. “Dad, I think she is taking some dirt, she has a small jar,” whispered my son. I immediately knew what was going on, and so did my wife and the others that noticed her leave the group. Still crouched, the elderly lady opened the small jar and began spreading ashes. She next walked over to the third base side, and spread some more. Everyone looked the other way, including the tour guide. She kissed her hand and held it in the sky. I looked at my wife, and saw a tear. I looked at the others in the group that witnessed what happened. There was not a dry eye to be found. Now I knew where her husband was — he was on the tour in another sense. She rejoined the group and we proceeded to the visitors clubhouse. The tour guide explained the amenities and how locker location is determined by the visiting manager. I noticed that the tour group had somehow made a circle around the elderly lady, she was no longer lagging behind, but was in the middle of everyone. The tour proceeded, but everyone respectfully made sure she was in the front of the group. The tour then ended where it began. Before we departed, the lady took off her glasses and wiped her eyes. She looked right at me. I smiled at her and told her I would root for her Padres to win the National League, but all bets are off when they face the American League winner. Unless it is the Yankees. She started laughing. Her eyes were still teared. The elderly lady clasped my hand and looked at my wife. “Enjoy your stay in San Diego, and enjoy your time together.” She shook my son’s hand and walked away. Don, the tour guide, opened the gate to let us out. He asked if I enjoyed the tour. I thanked Don and told him it was a tour I would never forget. 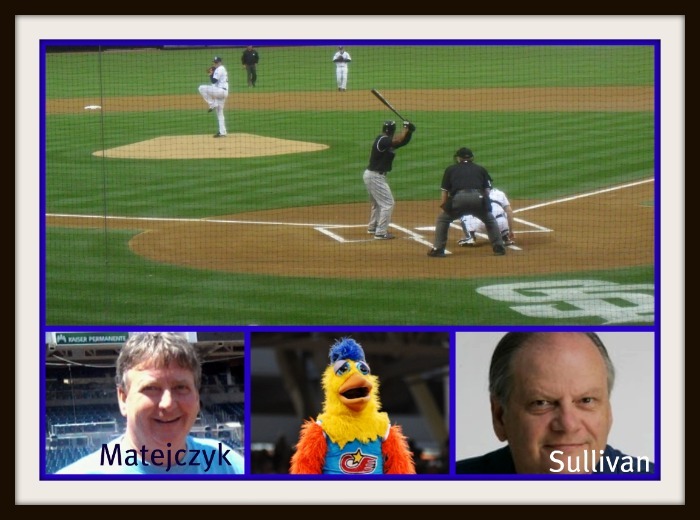 Matejczyk, a graduate of Cambridge Springs High School, is an attorney and correspondent for baseballphd.net. 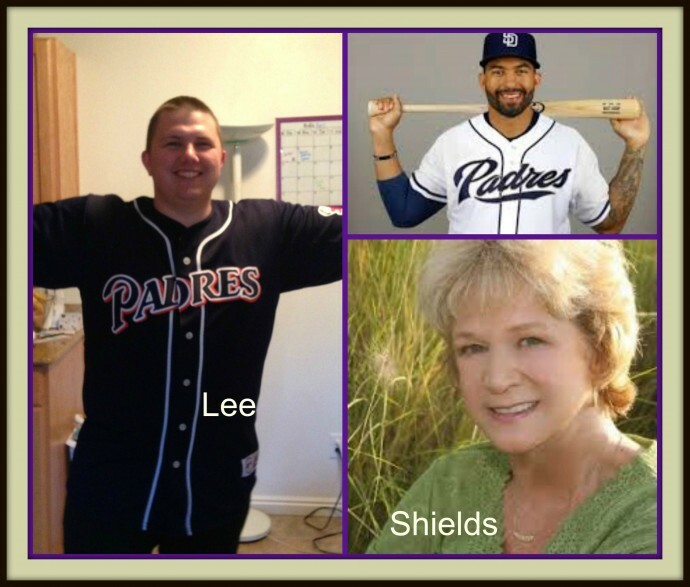 His thoughts on this article can be heard on Baseball PhD’s podcast, Episode 49 – San Diego Padres. Click here to download this story. Tags: 2010 San Diego Padres podcast, A baseball Fan Forever, Baseball PhD, baseball tours, Dave Matejczyk, Kroc Saved The Show in San Diego, Memories from PETCO Park, Padres, PETCO Park, PETCO Park tour, San Diego, San Diego Padres, San Diego Padres Team Pulse, The Impossible True Story - Last Day of the Season, Where in the World is Dave Matejczyk?